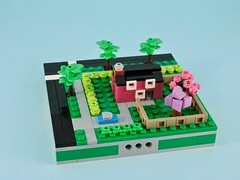 Hopefully, I’ve wetted your appetite for designing little buildings. Before we begin, we have to talk about the rules. As AFOLs, we tend to sideline the instructions. If we build to them, it is often just to plunder them for techniques. Since the heart of Micropolis is the standard, there are rules that we have to follow in order to play well with other builders. If you aren’t familiar with the Micropolis standard, go read it on the twinlug site. It is easy to see rules as boundaries, stifling our imaginary buildings before we even lay the foundations. Those tiny 16×16 modules just aren’t much real estate, especially after we add the mandatory roads and sidewalks on two sides. You can build a lot on a space like that. With over two acres, you could plop down eight little houses on rather spacious quarter-acre lots. That isn’t to say that you can fit every building of your dreams on a single module. For larger buildings, or building complexes, it is easy to step up to using a full block (four consecutive modules). Now we’re talking about eight acres of real estate to work with. All kinds of great architecture can fit nicely on a full block. This is the real start for any kind of sky scraper or downtown highrise. This expandability is key to the success of a standard. 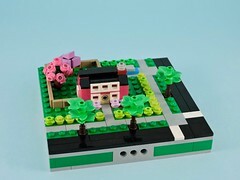 By keeping the rules simple, the standard leaves flexibility for builders: simple quarter-block design with streets along two sides and technic connection ports in the middle of each side. Just keep adding those modules together and it’s easy for a builder to have all the real estate they need. One of the other rules of the standard establishes a visual style guide for the two most common surfaces in a city: asphalt and concrete. The standard dictates that roads should be black tiles and the sidewalks that line them should be medium stone grey tiles. It is also mentioned that parking lots and alleys should be dark stone grey, but I haven’t seen that used much. 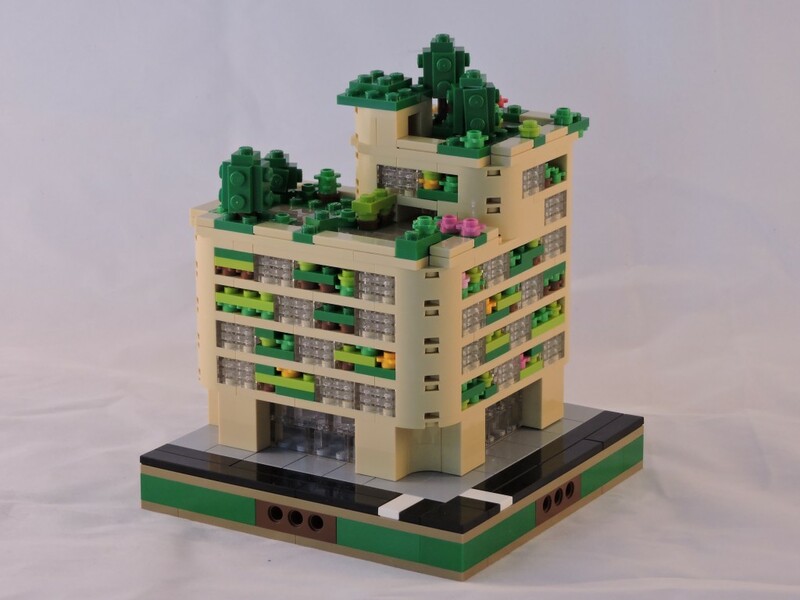 Color and texture are important considerations in micro-scale building. Each builder develops their own visual language for conveying material and this simple baseline in the standard gives us each a starting point. I’ll talk more about this in future articles. Next week I’ll start talking about scale and all the ways that it will frustrate. One acre equals 43,560 sf or a square of approximately 208’x208′. The 10,000sf you have left to work with is 1/4 acre, enough for 2 standard houses. I’ve crammed three tiny ones in there as an experiment. Most city blocks in Portland are a shy acre at 200’x200′. Of course, we’ve small blocks here too. I think maybe you know these numbers but there is a typo or two in the text. That’s what I get for doing the math in my head and not double checking it. That makes a lot more sense.